Although considered a challenging task, cutting concrete doesn’t need to be that difficult. Simply choosing the right tools will help you win half the battle. Known for their quality, durability and power Baumr-AG Concrete Saws are the ideal companions to to cut through the hard yakka. Bringing unparalleled reliability, Baumr-AG Concrete Saws are equipped with a Wet Cutting System that produces effortless cutting of concrete, asphalt, tile, brick and similar materials. 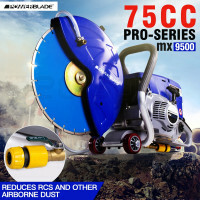 This system also eliminates Respirable Crystalline Silica particles, which can result in serious health problems especially for the users. 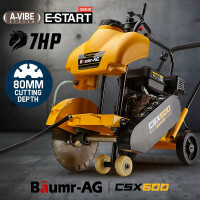 To enhance the user experience, Baumr-AG Concrete Saws are packed with class-leading features such as the twin V-belt drive system with self-centring bearings, on-the-fly depth adjustment and loads of power to cut through almost anything. These concrete cutters enable you to accurately and easily slice through the densest materials such as driveways, stone work, tiles, paths, stone, brick, cinder block or asphalt. The Pro Dual Roller Guide Casters act to produce smooth straight cuts, the blade guards have on-the-fly adjustment, and the firm grip handles ensure sturdy and precise operation. Other fantastic features include trouble-free decompression valves, dual mass patented A-VIBE vibration systems and twin-stage air filtration technology for easy cleaning. Among other concrete saws available online, Baumr-AG Concrete Saws stand apart from the rest because of their functional and reliable features. These outstanding tools are favoured by contractors across Australia because of their optimised weight distribution, legendary power and total reliability. Edisons also offer other heavy-duty construction tools and equipment. 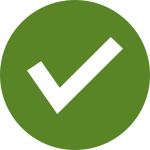 Be sure to check out our amazing line-up of Saws, Hydraulic Press, Rebar Cutters, Ladders, Platforms, Laser Levels, Measuring Tools and Tool Sets. 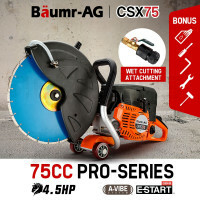 Purchase a Baumr-AG Concrete Saw today and finish your construction tasks like a Pro!